After a lengthy process, the government charity commission has officially registered the Coach AnnieZ Foundation as a charity. 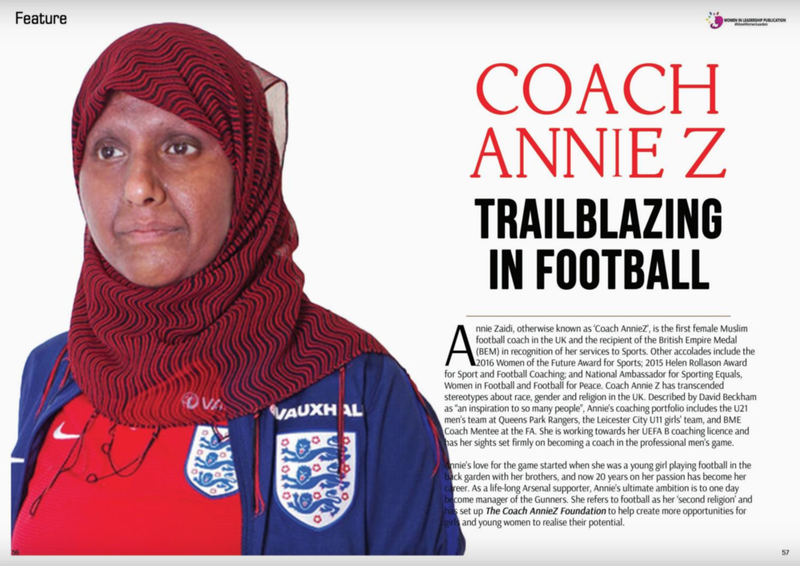 Women in Football’s Special Advisor on Coaching, Annie Zaidi, has been invited by FIFA Women Development Manager to be part of FIFA Women's Football Coach Mentoring programme. Annie Zaidi received her BEM last week from Lord Tim Cox in recognition of her services to football coaching. It was a weekend of celebration for Annie Zaidi after she passed her UEFA B Licence at the second time of asking earlier in the week.